Just south of downtown Minneapolis sit multiple lakes for residents to enjoy. Naturally over time, homes have sprung up around the lakes as desirable places to live. 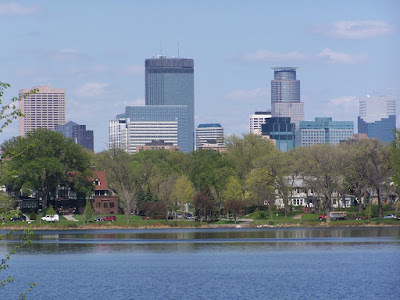 Some of the most popular are Lake of the Isles, Lake Calhoun, and Lake Harriet, which string together to the west of I-35W. If you looked east of the 35W, the largest lakes are Lake Nokomis and Diamond Lake. 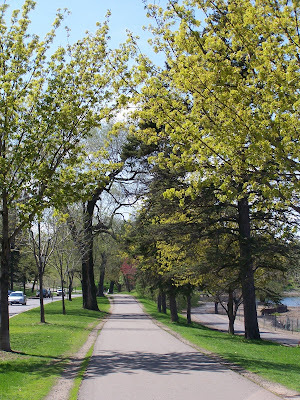 One of the great reasons for living in Minneapolis is the public use of the lakes and the surrounding parks. Residents and visitors can hike, bike, jog, stroll, or take a relaxing kayak – canoe ride on one of the lakes. Lake Nokomis has a public beach area that is perfect for summer swims in the lake. Lake of the Isles has a dog park at its south end, which needless to say, is used every day for a good doggie social hour. There are just so many fun things to do in Minneapolis, and lake living is one of them.